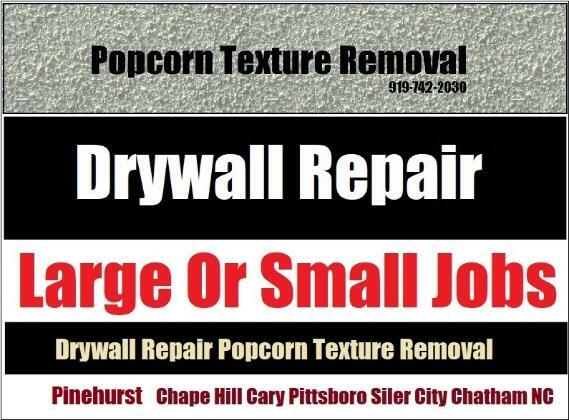 If you live in The Pittsboro area & need the leading drywall company call Drywall Specialist. Professional hanging, finishing, repair, restoration and texture work. A top gypsum contractor offering low prices & free estimates on lg or small jobs in Chatham. Leading Wallboard Hanging Finishing. Low Prices Free Estimats, Quotes On Lg Or Small Jobs In Pittsboro & Adjacent Areas! Drywall Specialist: Copyright 2017 All Rights Reserved 919-742-2030 Leading Restoration Company Pittsboro Siler City Chatham County NC.